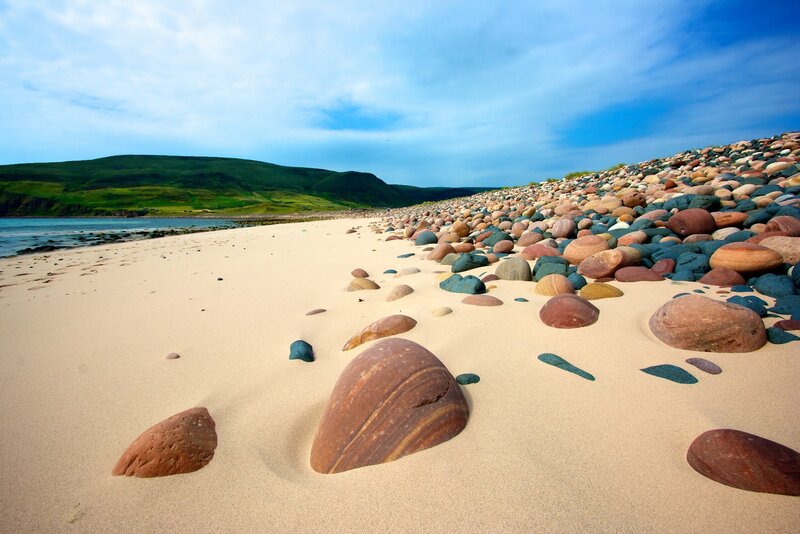 One of the most remote and beautiful beaches to be found in Orkney, Rackwick is an incredibly special place that will stay with you long after you leave. 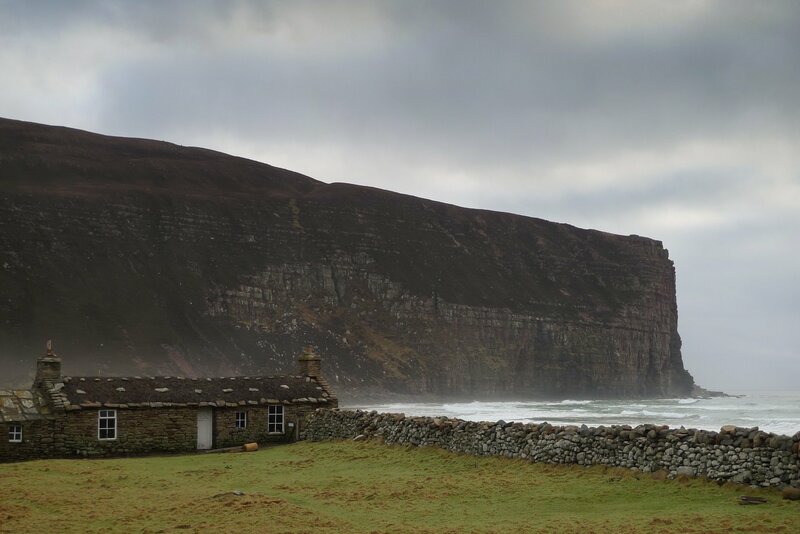 Facing out into the Pentland Firth, Rackwick in Hoy can be a wild and raw place. 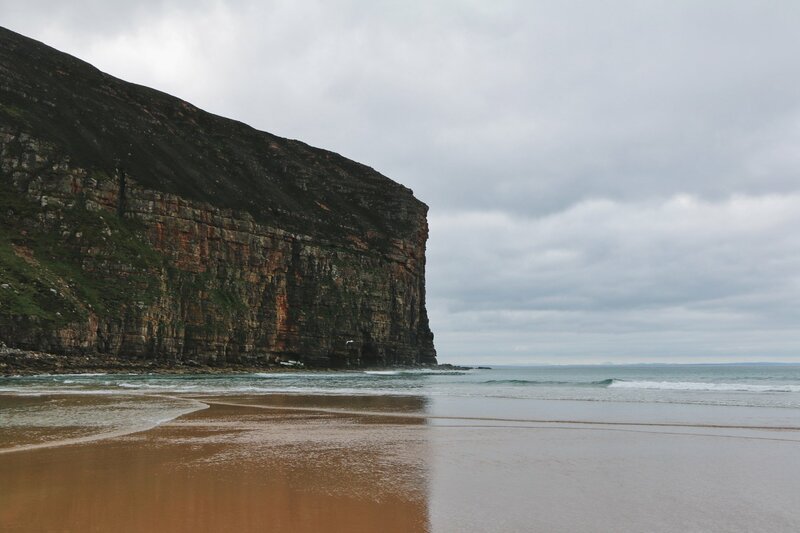 Overlooked by a towering sandstone cliff and surrounded by hills, there is an 'end of the earth' feeling about this small stretch of sparkling sand, but therein lies the attraction. 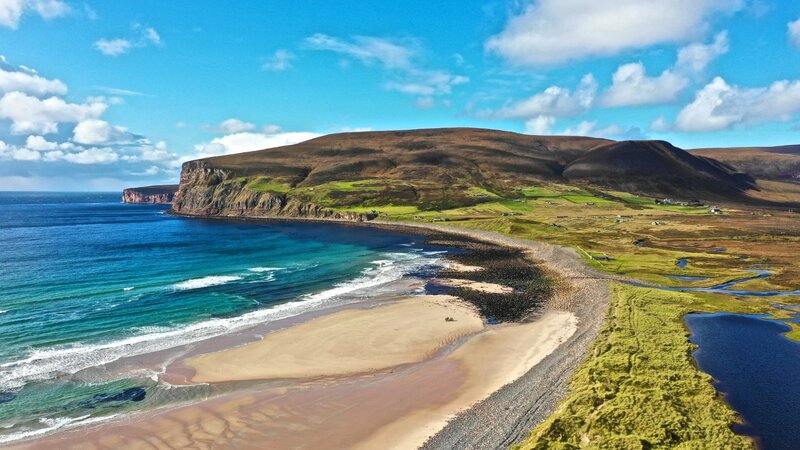 Rackwick is a tiny crofting community made up of a scattering of stone houses. 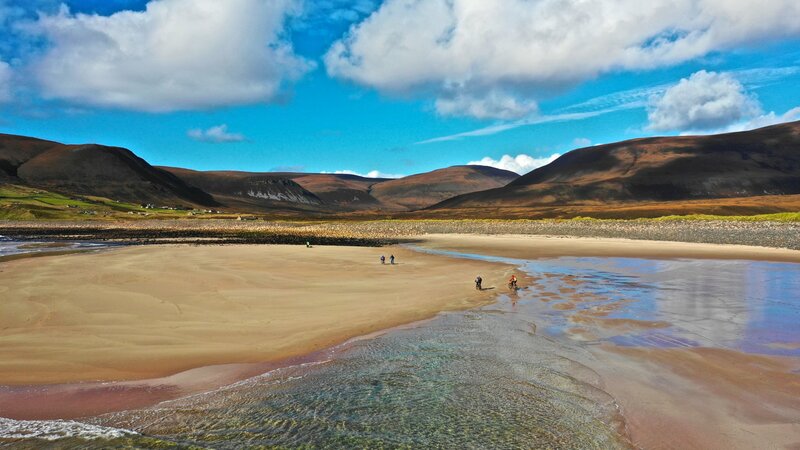 Visitors stop in the small car park before walking towards the bay, passing the old bothy, clambering over the Rackwick burn and navigating a path through massive boulders to reach the beach itself. 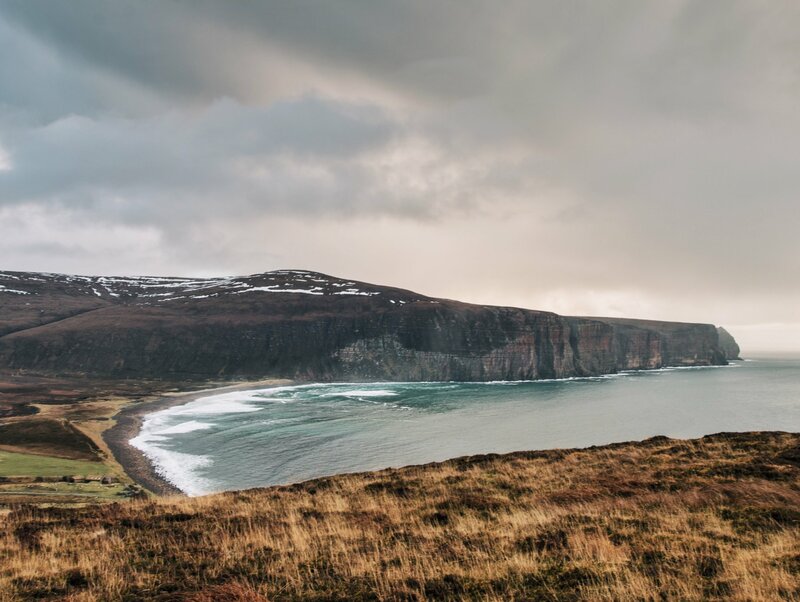 It's a very peaceful place - we'd recommend just sitting down to take it all in. 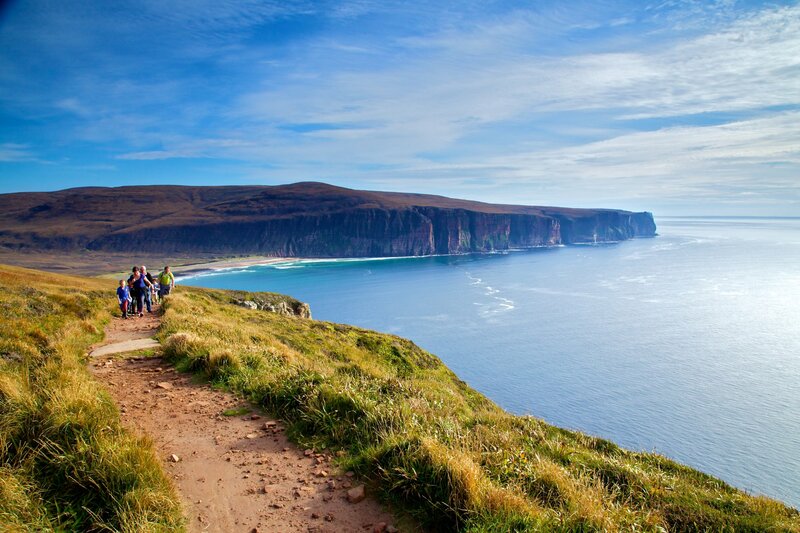 Rackwick is also the base for the hike to the Old Man of Hoy, and there is an excellent museum nearby too, showcasing life in an Orkney croft in years gone by.